◪ The X,Y two axis wire rod is directly connected to the motor through the elastic coupling, which absorbs vibration and has higher transmission precision inRotary Waterjet Cutting Machine. ◪ The loading and unloading space is big, especially suitable for the material size irregular, the loading and unloading way is not fixed, if you purchase the Rotary Waterjet Cutting Machine equipment to undertake the external cutting processing primarily. Water-Jet Cutting Applications: Widely used and easy to operate, water-jet cutting is the world's fastest-growing major machining technology. In fact, water-jet cutting capacity is unlimited. The processing plant of all sizes realize the use of ultra-high pressure water-jet bring greater efficiency and productivity. Water-jet processing plant machine tools. Abrasive water-jet technology has quickly entered the continued research and development. 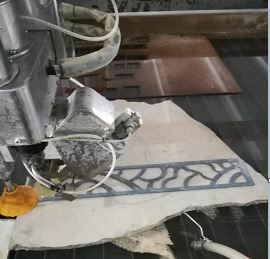 Water-jet only need a few auxiliary operations, without heating the area, no heat distortion or other cutting methods lead to mechanical deformation can produce mesh parts can be machined narrow the gap, allows better use of raw materials, because of the multiple parts can be tightly nested. Water-jet easy to use. Under normal circumstances, the training of operators after a few hours to a few hours of continuous production of high-quality parts. 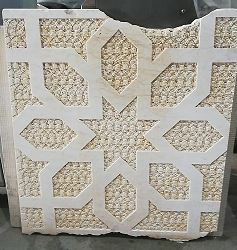 Furthermore, the fact water-jet can cut virtually any material and keep the incision smooth. Looking cost-effective high-end rotary waterjet cutting machine? Contact Teenking CNC now, which is one of the professional manufacturers in China who is equipped with skillful personnel and advanced equipment. We also deal with customized business to make customers 100% satisfied. Welcome to get our high precision products at competitive price.